ParentLink reaches out to incarcerated parents through Parenting Corners. 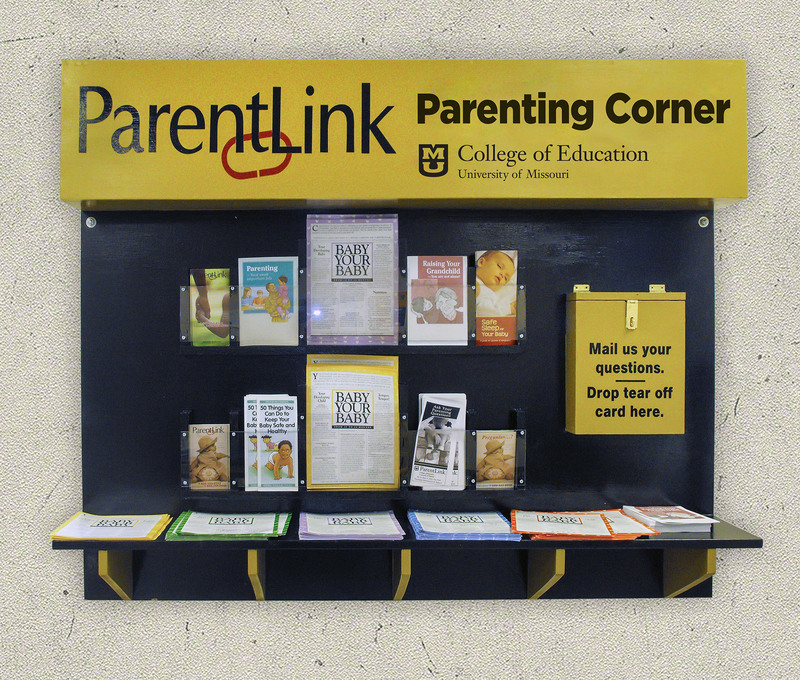 Parenting Corners are displays of parenting materials and target specific audiences. Prison Parenting Corners are located at 21 correctional facilities in Missouri. These Parenting Corners are filled with parenting information for incarcerated parents. One item located at each Corner is the “Ways to Stay in Touch With Your Child” brochure, created by ParentLink, with information for incarcerated parents about staying connected with their children while in prison. The brochure has a tear-off card that incarcerated parents can fill out with a parenting question or concern and mail the card to ParentLink. ParentLink WarmLine Specialists are then able to customize responses, sending back research-based information to the parent. For more information, please call ParentLink at 1-800-552-8522 or 573-882-7323 or send an email to parentLink@missouri.edu.